Microsoft Visual Studio 2010 Beta 2 is here with a new logo. It can be downloaded from here . [TFS] How to: Move a shelve set to another branch? 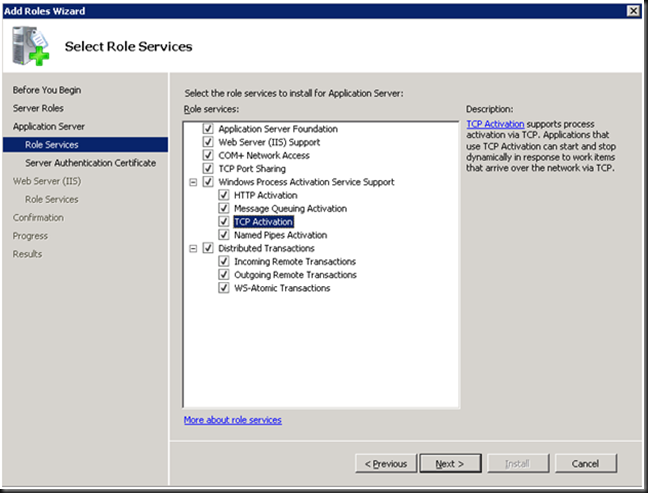 There are several articles showing how to host non-http protocols on IIS7. Some steps are like black box while others could easily be misconfigured. With this Phase 1 is complete. 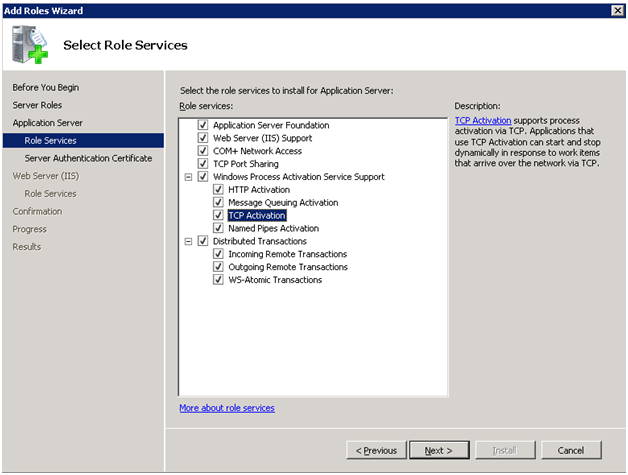 We should be able to navigate to Internet Information Services (IIS) Manage console in Administrative tools. 1. Build WCF application with netTcpBinding :) (kindda obvious). 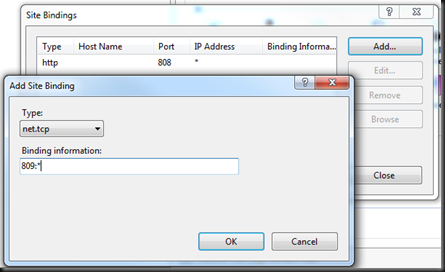 For service endpoints leave address relative or empty. 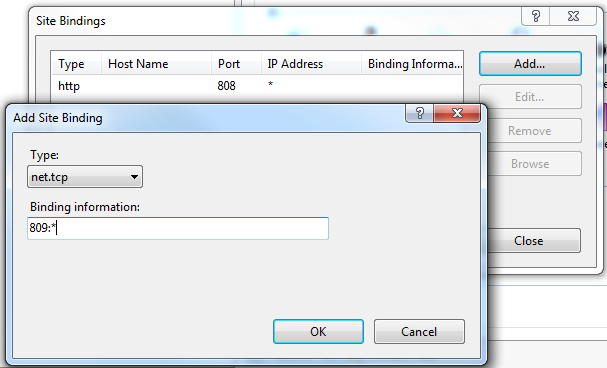 Warning: Do not put any spaces in “Enabled Protocols” field. Although it might works for HTTP it doesn’t for net.tcp. I will cover why it is optional in next posts. P.S. Here is the helper js function FindElement(). It is slightly modified from original generated by IIS Manager so it will compare values in case insensitive way. Tim Heuer posted a great series of articles targeted a new Silverlight developers. 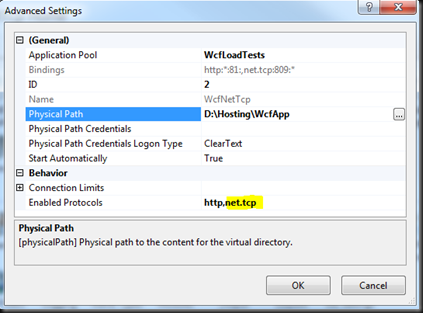 These can be used to ramp up with new things in v3 as well as Silverlight concepts. Part 4: Binding the data – once you get the data, how can you use it? I am attending a very interesting even called SQLSaturday at the newest MS building complex The Commons. This is a three track event about SQL server and has very interesting topics. Speakers are MVPs form northwest and MSFTs. This event is held in different locations in USA. It is highly recommended for DB devs and admins who want to learn some tips, trick and get some advises learned hard way.